Friday. We made it, guys. But it’s not over yet – if your weekend is gonna be anything like mine, it’s gonna get a bit crazy. 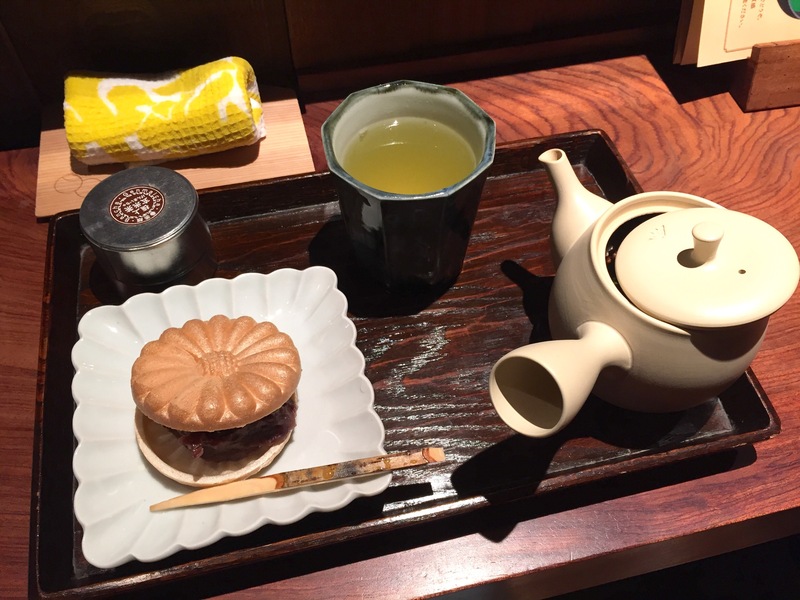 So before that happens, let’s head back to Tokyo for a few minutes and enjoy a little bit of tea time. To make this a more interactive experience, I’ll wait a few minutes for you to brew yourself a cup/pot/bucket/whatever you need. It was around 9am on my last day in Tokyo, and it was raining. My plan to head back to Kagurazaka for the morning went down the drain along with the rain water; I decided to take my umbrella out and explore closer to the hotel. I ended up in the basement level of Isetan Department Store, which also looked strangely like food heaven – $400 bento boxes, French baguettes, Italian cured meats, 500 different types of noodles, animal shaped cookies, the most stunningly intricate cakes that would put even Zumbo to shame. 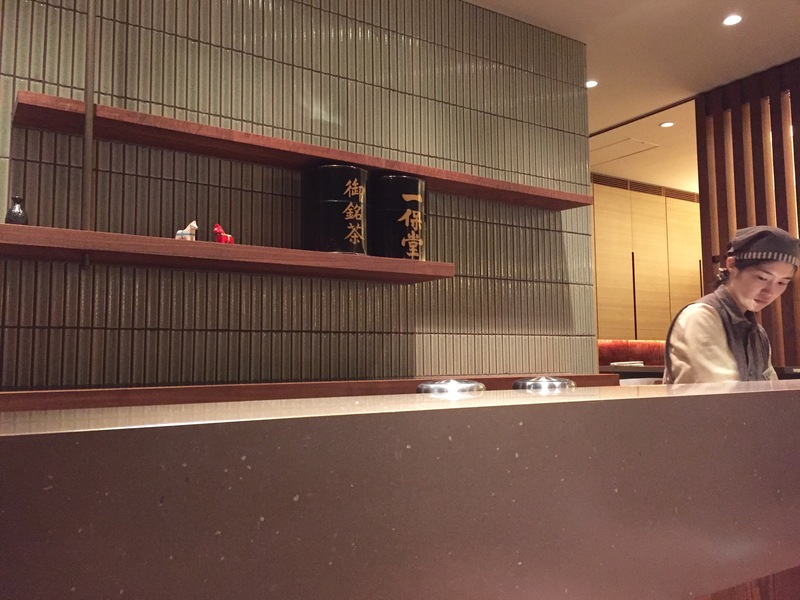 Oh, and tea, coffee, wine, sake, beer… my God, it was amazing. I settled on a gorgeous little rice lunch box and a matcha cookie sandwich, and trotted happily home in the rain. Eating my delicious lunch on my crazy comfy hotel bed, I was pretty happy with the week I’d had in Tokyo; there was only one more thing I really wanted to do, and that was to spend part of my last night in a tea house. 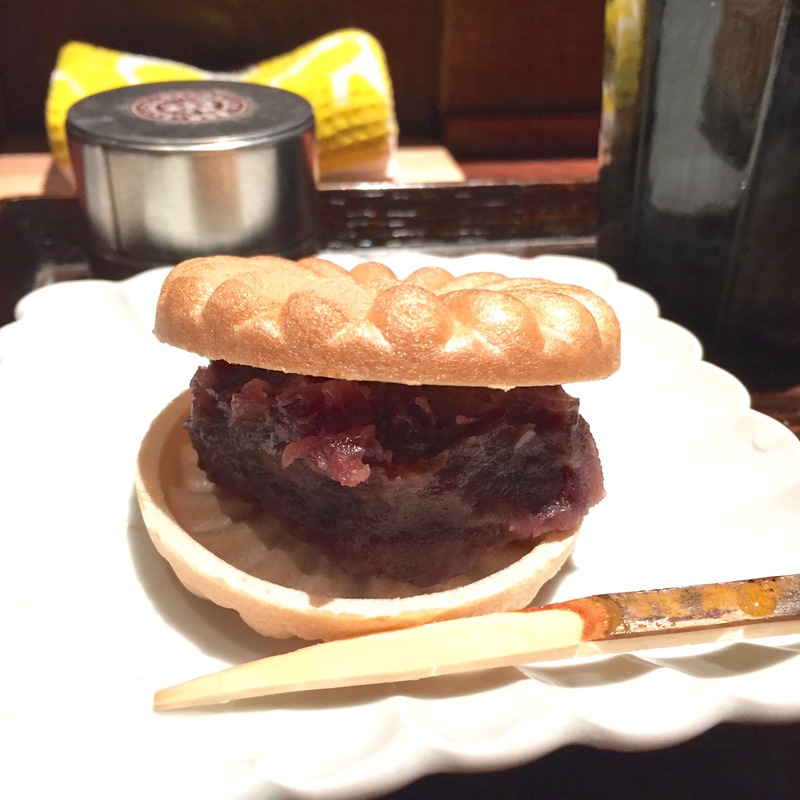 I did a bit of research, and the name “IPPODO” kept popping up – it wasn’t too far from Tokyo Station, where we intended to meet up later in the afternoon so we could visit Character Street, so I saved the address and finished my delicious lunch. After shopping our way up and down Character Street and dinner on Ramen Street (and this is all in the basement of the train station, mind you), we made our way to Ippodo. Ever since drinking that incredible Gyokuro tea at Cha Ginza, I’d been on the look out for some of it – it seemed way too expensive at the time to buy (around AUD$50 for a 50g bag), but at the end of the trip I was left with a lot more spending money than I expected to have, so I decided to treat myself! I found a few different varieties at Ippodo and bought a bag to take home. Tucked away behind the main shopping area of the store was the Kaboku Tearoom; there were quite a few different green teas on offer, which all came accompanied by a traditional Kyoto sweet to compliment that specific tea (the store was originally opened in Kyoto, but another was opened in Tokyo a few years later, as well as another in New York). 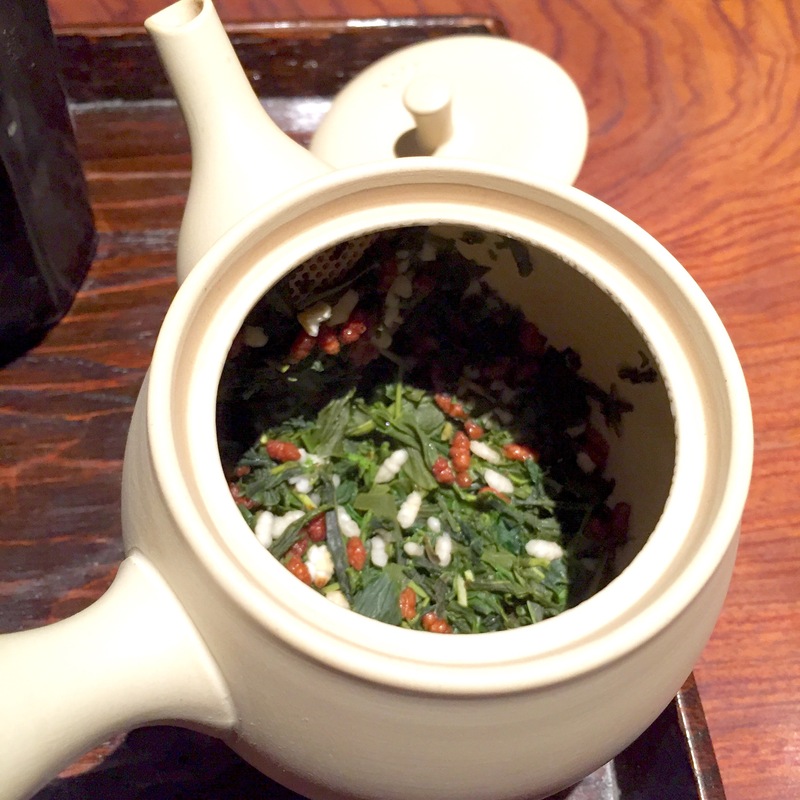 I’d tried matcha and gyokuro and many times of sencha before, and would have happily had any of them again, but noticed one of my favourite teas on the menu – genmaicha. It’s a gorgeous green tea blended with roasted brown rice, originating from the poorer families who used to add the rice to their tea in order to make it last longer and therefore save a bit of money, as well as using it to cover up the taste of often stale tea. Properly done genmaicha is amazing; it’s got the lovely green tea taste, with the nuttiness of the roasted rice; T2 did a particularly beautiful version of this tea called Jade Mountain, which was a genmaicha (green tea + roasted rice) with cocoa husk, hazelnut brittle pieces, toasted almond flakes, blackberry leaves and chicory root (it was a special one off tea which I bought several boxes of because it’s that good, so if you missed out, sorry… not sorry!). – use all of the tea provided (12g, I believe). – pour into the pot, cover, count to 10 and then pour. – do not let it brew longer than 10 seconds the first time, or it’ll have a bitter taste. – empty the pot COMPLETELY into your cup – you don’t want to leave any water in there, or it’ll make the next brew bitter. – leave the lid askew while drinking that first cup so the leaves can breathe. – you’ll only need to count to 5 on the following refills. And my sweet? A gorgeous little wafer flower filled with sweet red bean paste. Perfect match with the tea. Ohh that’s a shame 😦 but at least you can buy some tea to take home with you!